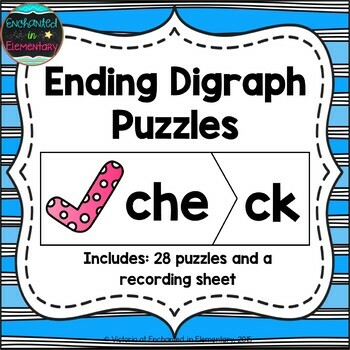 This is a set of 28 ending digraphs puzzles. 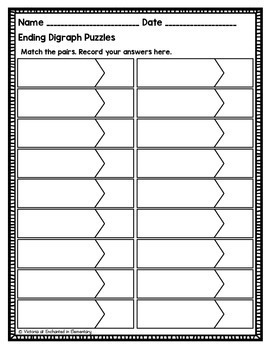 Each puzzle is a pair that forms one word. 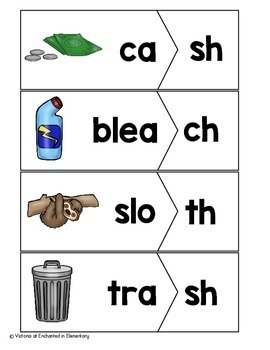 The ending digraph is on one piece, the word beginning and a picture are on the other piece. 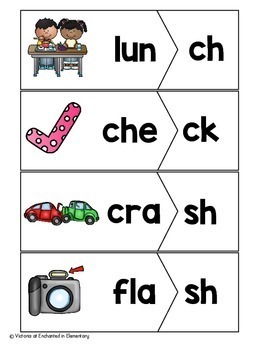 Working on ending digraphs? Check out these resources!